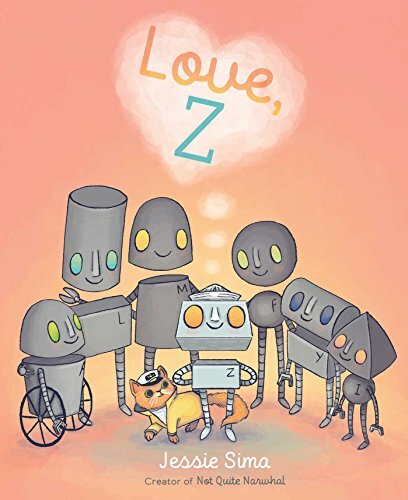 "A young robot goes on a quest to discover the meaning of the word 'love'... but if love is something that a robot simply cannot compute? Jessie Sima never fails to impress me not only with her lovely illustrations, but also the subtle yet meaningful ways she weaves a diverse cast into all her stories. This book is a real gem."